SOMETHING FOR EVERYONE: With more than 60 live and silent auction items up for grabs, there was something for all interests, ages and budgets at this year's Awesome Arts Access Auction. A big thanks to everyone who supported the auction: donors, guests and volunteers. The money raised will support Arts Access Aotearoa's work to increase access to the arts for everyone in New Zealand. 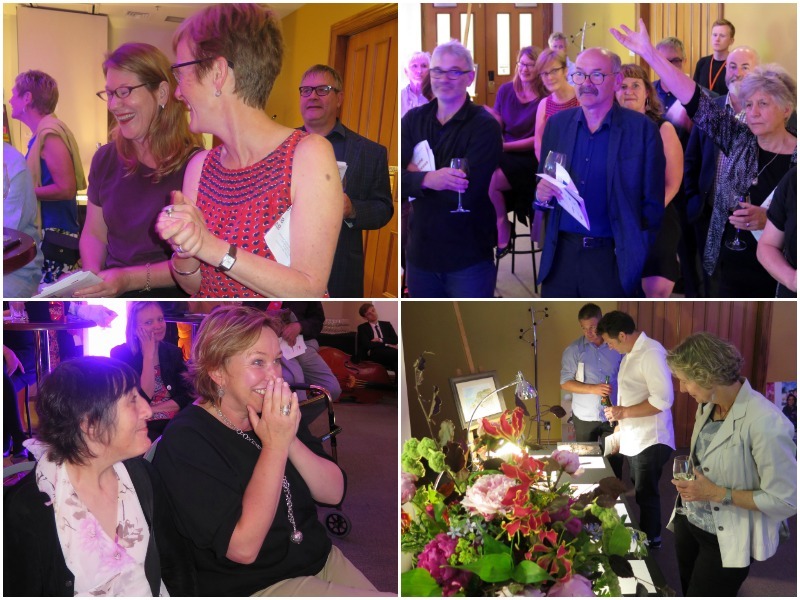 The fifth Awesome Arts Access Auction, held on Thursday 30 November at CQ Hotels Wellington, was a great success with guest bidding on luxury getaway packages, tickets to live performances, art, health and beauty items, a rugby package, Dulux paint, a landscape consultation, and much more. Richard Benge, Executive Director, Arts Access Aotearoa, says the evening is always a great opportunity to have some fun and also support the work the organisation does to increase access to the arts for everyone in Wellington and the rest of the country. It's also a great networking event and chance to spread the word about the importance of everyone having access to creativity and the arts, whatever their circumstances. “It's fantastic that so many individuals, businesses and arts organisations in the Cuba Quarter, Wellington and beyond support us through this auction and in other ways,” he says. "We're extremely grateful for their generosity." Big shout out to Graphic Design and Out of the Box for the auction programme. Original generation time 1.4090 seconds. Cache Loaded in: 0.0390 seconds.